Despite the challenging times ahead, the county’s capital market is optimistic that the progressive line-up measures will continue anticipating sizeable investments to take-off ground this year. Outlining the key elements of the Colombo Stock Exchange (CSE) wish-list for 2019, its Chairman Ray Abeywardena said reinstating political stability, currency and fast-tracking economic growth were some of the priorities they believed that the Government together with all stakeholders would attend to, to retain and attract new foreign investors. “Ensuring political stability, exchange rate and getting the economy back on the track are essential in order to attract foreign investors as these are key factors they look into when they explore markets,” he told the Daily FT.
Abeywardena also called on the Government to bring back captive funds which had been kept away for the past four years. “It is a miracle that our market survived without those captive funds, which includesEPF, ETF, NSB and SLIC. Four years is a long enough to create a framework for these institutions. It is time that the Government made it a reality,” he stressed. Noting that trade unions had been actively engaged in this matter and hadn’t opposed, he said the market was now eagerly waiting for the Government to take steps through either the Central Bank or the Finance Ministry. In terms of performance, he said although in 2018 the market had closed on a negative note, CSE still remained one of the most attractive based on price multiples among regional peers, adding that contribution to total market turnover by local institutional investors had increased by 6% compared to a year earlier. “Both indices ended on negative note with All Share Index -4.9% and S&P Sri Lanka 20 Index -14.6%. However, a negative trend was evident among regional peers,” Abeywardena noted. According to him almost all Asian markets have ended on a negative note, including India, Hong Kong, Malaysia, Indonesia, Pakistan, Korea, Philippines, Shanghai,Singapore, Taiwan and Thailand. The ASI is in fourth place in terms of regional market indices performance. “Although the ASI has ended 2018 on a negative note, considering the regional context, other regional indices have shown a much greater decline. In terms of performance, frontier and emerging markets at large have underperformed compared to US high-yield in 2018,” he added. CSE Chief also highlighted that in terms of capital raising, the market had fared better than in the two previous years, noting that Rs.99.3 billion had been raised through IPOs, debt issues, rights issues and private and placements. In 2017 CSE raised Rs.73.5 billion and in 2016 it was Rs.85.6 billion. Domestic investor purchases had increased by Rs.15.1 billion to Rs. 122.5 billion compared to Rs.107.4 billion in 2017. He stated that the net foreign outflow of both primary and secondary market wasRs.15. 6 billion last year.Total foreign investor contribution in 2018 declined marginally from 46.9% to 44.5%. “Foreign participation remained more or less the same as in 2017, but what is significant is that foreign purchases increased from Rs.112.2 billion to Rs.268.2 billion. 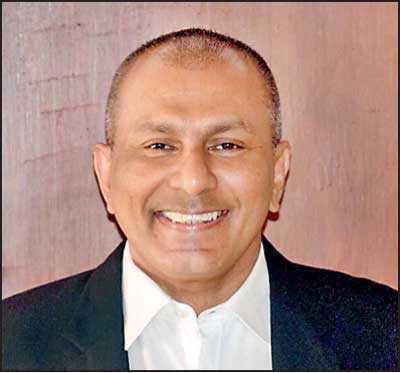 Foreign investors have continued to engage in our market amid a challenging year for Sri Lanka on the macro front and tightening global financing conditions,” Abeywardena said. Asked about the game plan to turnaround the foreign outflow in the backdrop of the US being likely to announce more rate hikes, CSE Chief Executive Officer Rajeeva Bandaranaike said market should not be unduly concerned as these funds would return as the CSE was still at attractive multiples. “All stock markets experience foreign inflows and outflows and these are hot money flows which are dependent on a number of external factors. A strengthening US economy, interest rates and US Dollar havethe potential to affect investment flows into markets in general. However, we anticipate that attractive valuations in the Sri Lankan stock market, especially compared to regional and frontier peers, will place us as a noteworthy market in our segment,” he added. Asserting that frontier market focused fundsconstitute a large portion of our foreign investments, he said it had the mandate to look at investment opportunities outside the US and go by the investment case of the particular market. “Especially in this context, it leaves Sri Lanka well placed when attracting frontier funds, should the macro outlook offer signs of stability. 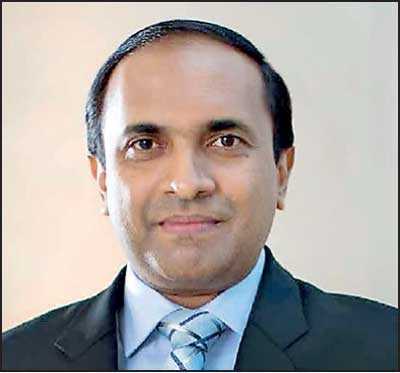 We therefore will continue to engage frontier market focused investors in 2019 as well,” Bandaranaike said. Given the slow growth in the economy, asked about CSE’s plans to make the capital market more attractive particularly to local investors, Bandaranaike stressed that they had provided an opportunity for the entire spectrum of the corporate sector to raise equity and debt capital. “The Main Board for the larger companies both in the State sector and the private sector, the Diri Savi Board for the medium-sized companies, the SME Board for the SMEs with different listing criteria, and multi-currency board for foreign companies wishing to list and trade dollar-denominated securities. We believe that we have a wide base of investors, both local and foreign, that companies can tap into and we have put the necessary regulatory and governance framework in place. We stand ready to support and guide any company. It is upto the State sector and private sector companies to avail themselves of these opportunities,” he emphasised. With 2019 being an election year, he said they expected the market to feature volatile behaviour, which was natural. “Sometimes elections result in some amount of speculation on the part of investors. There may be some volatility but volatility also proves opportunity for investors. We actually may see more volumes this year,” Bandaranaike asserted.